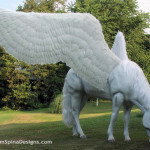 A life size horse statue with skeletal rider! 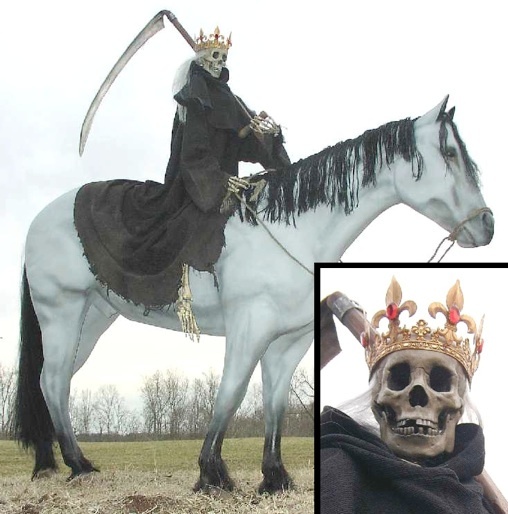 This life size horse statue with “Death” aka “Pale Rider” is a wonderful showpiece is designed to get press and impress your patrons at your haunted attraction, Halloween display or trade show. 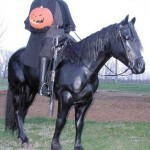 A full scale horse with skeleton rider would make the ultimate store front or entrance display figure at a haunt. 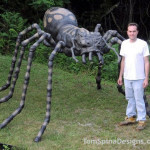 This sculpture stands an imposing 8 feet tall. 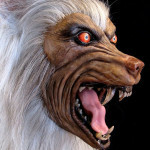 The life sized fiberglass horse features a mane and tail of synthetic hair for added realism. Death is presented here as an anatomically correct, life size skeleton with sparse white hair peeking out from beneath his crown and long, tattered medieval robes. 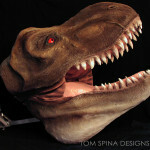 We can create all sorts of themed props for Halloween events and parties or haunts, so if you’d like your own life size horse statue or other gothic prop or display, drop us a line!